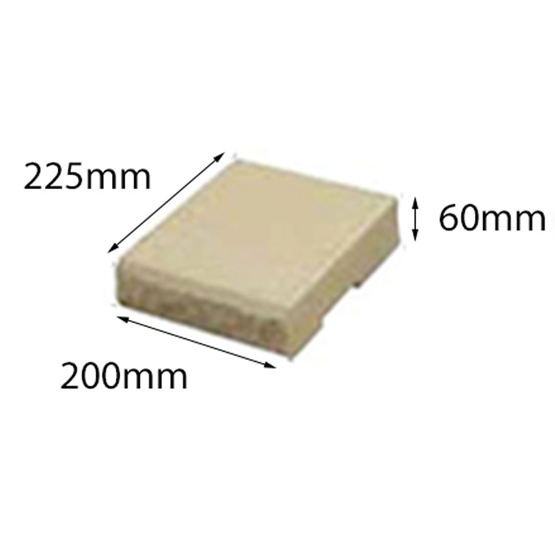 Block Tasman Retaining Half Cap 200x225x60mm Baines Each (300 per pallet) : BCSands Online Shop - Building and Landscape Supplies, we supply Sydney's best! 5 per lineal meter. Available in various colours--see below. A purpose-designed retaining wall system that’s easy to build and looks fantastic. These quality blocks are flexible enough to cope with 90 degree angles and steps and can be used for straight or curved walls. Available in a range of colours to suit your surroundings: Appin Stone, Bushrock, Charcoal, Opal White, Oakdale, Red Rock, Penrose and Yellow Rock. Easy enough for DIY, with great results!